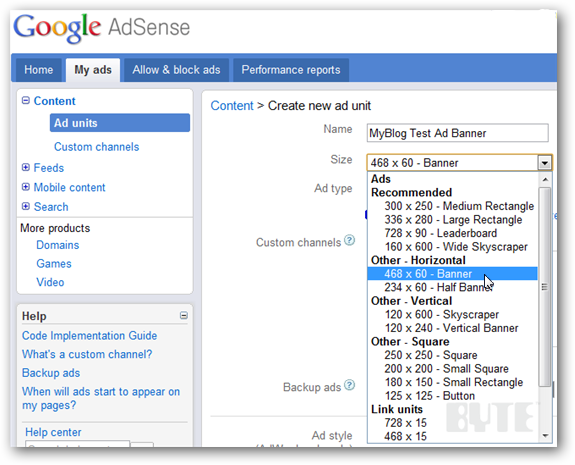 Here's how to add money-making Google AdSense ads to your blog or website. You spend a lot of time and effort on your website and blog. Why not get compensated? Here's how to use Google AdSense to generate a few extra dollars for all that hard work. To use AdSense, you first need to create a Google account, if you don't have one already. Then head to the Google AdSense website. To create an ad, just click on the My Ads tab. Type in a name for your advertisement. Note that each ad name should be unique. Use the Size pull-down menu to select one of the ad sizes. Use the Ad type pull-down menu to select one of the three available types. The Text & image/rich media ads is the default type. 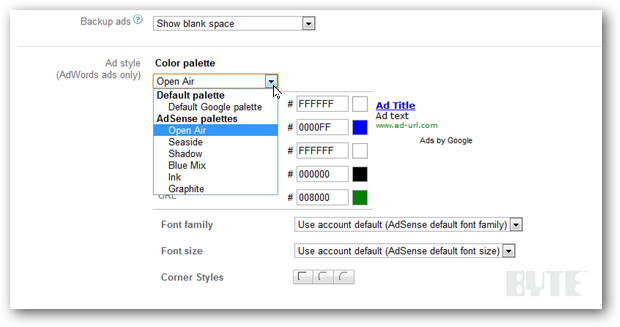 Choosing this allows your ad to display either plain text or a graphical ad. If you want to be able to track specific sections of your site (or a specific site if you have more than one), you can create custom channels. Select one of the Backup ads. This determines what is displayed on your website if an appropriate ad becomes temporarily unavailable. Select one of the color palettes for your ad. 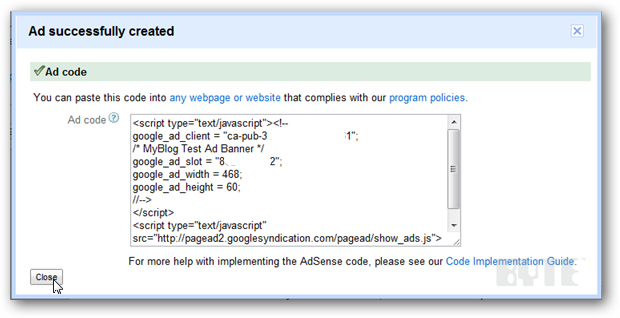 Google AdSense will display an example of how your ad will look--preview it to make an appropriate selection. Choose a font family and ad box corner style. Hit Save and get code. 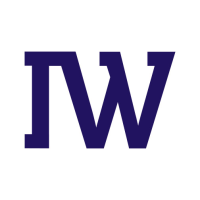 Note: Where you place the code on your website depends on how your site is built. Based in Honolulu, Todd Ogasawara is a senior contributor at BYTE and a full-time IT pro for the State of Hawaii. 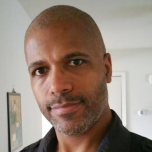 He covers deep IT tech for BYTE. Follow him @ToddOgasawara or email at [email protected].